Savoy Brown is a UK blues band that was formed in the sixties by guitarist Kim Simmonds. The group is credited as being one of the factors in the UK blues explosion, which ultimately brought blues music influence back to the USA and its invigorating style on the rock and roll music of the 1970’s. Jazzin’ On the Blues is Simmonds latest all instrumental project which mixes jazz, blues and a new age sounds, with blues feels and sounds. Simmonds wrote all twelve tunes except three and plays acoustic guitars, bass and harmonica. So that’s the short of it. 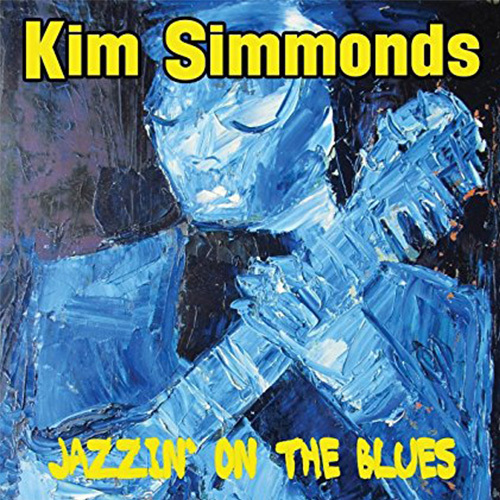 Simmonds can play the guitar and Jazzin’ On the Blues is full of excellent blues infused instrumental music. Don’t expect to hear Savoy Brown, instead listen to the subtle shades in which this guitarist paints the acoustic blues with. This is Simmonds displaying his consistent and uncanny ability to maintain the heart of the blues while simultaneously pushing its boundaries.